Remembering how left-wing friends in the 1980s took great interest in the Sandinista revolution in Nicaragua (recall The Clash’s album Sandinista! I personally backed the Contras, perhaps not my finest political decision), it is intriguing to learn from Donald C. Hodges’ Sandino’s Communism: Spiritual Politics For The Twenty-First Century (1992) how deeply involved Augusto César Sandino was in spiritism and esotericism. Sandino seems to have taken a particularly keen interest in the religio-philosophical ideas of Escuela Magnético-Espiritual de la Comuna Universal, founded by Joaquín Trincado Mateo. The Magnetical-Spiritual School of Universal Commune, “the direct continuation” of the magical system “Moses founded 36 centuries ago”, if we are to believe Wikipedia, seems to still be around. I doubt however that the political dimension of the school, that first attracted Sandino, are vibrant still. 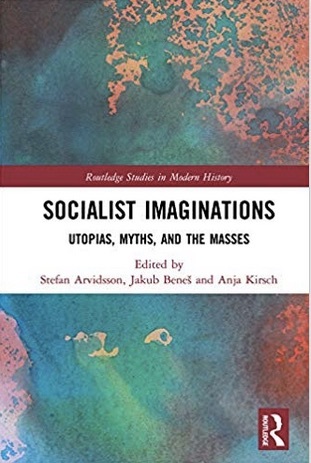 In respect to early 19the century France, Julian Strube has recently studied the juxtaposition of socialism and occultism. It was news to me that such a joint adventure continued well into the interwar period.